David Vendetta is a French house DJ and producer who has been crafting big hitting electronic bombs for more than a decade. Hit records from his album "Rendez-Vous" came in the form of 'Love To Love You Baby' and 'Break For Love' which not only stormed the French National Charts but have in excess of 3 million hits on YouTube. Its successor, Vendetta, featured collaborations with the creamof the crop in vocal talent such as Luciana with 'Make Boys Cry' and with Tara McDonald on 'I Am Your Goddess'. 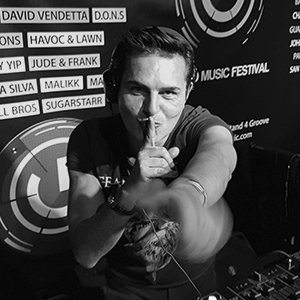 2017 is already shaping up to be a big year for David Vendetta as he continues on his mission to deliver his music to dancefloors across the globe.